But, as with many statements issued by the MP hierarchy, many are not too sure as to the veracity of this statement. First off, let us notice the wording. “The Russian Orthodox Church values immensely its current freedom and autonomy.” Well, I’d say this means, fundamentally, that Kirill values his own freedom of movement, and elite power exertion. 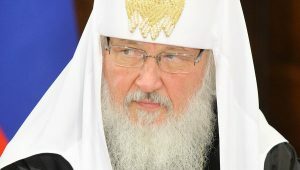 Kirill himself is no doubt someone who has no intention of going down with the ship of state; but, this does not preclude him from manipulating the governmental leadership for his own agenda. As is well known, the MP has had to use the force of the professed secular state to achieve goals it could not otherwise achieve (such as the manufacture of documents to buildings it does not possess). Why, of course this is perfectly unobjectionable. However, isn’t this statement like some empty tautology? Or something? Of course a moral person is a ‘law’ abiding person, assuming the law is moral. However, there is of course no requirement for a moral person to obey an unjust law; for, if a law is unjust, it is sinful, and we are not required to owe obedience to rulers who command us in things sinful (that is, immoral, or unjust, and therefore, truly ‘unlawful’ in the highest sense). 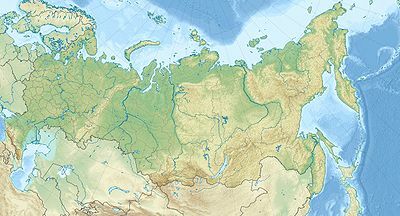 Although some 70 percent of Russians identify themselves as Orthodox Christians, analysts say that many view the Church as a mere extension of the state. A report by the independent, Moscow-based Levada Center pollster indicated this week that 30 percent of those who identified themselves as Orthodox Christians did not, in fact, believe in God. The same report found that only around 10 percent of believers take part in Church life. Of course he is right. The idea deriving from the French Revolution that the government should be antagonistic to religion is something wrong from an Orthodox point of view. However, what we are talking about here is not an issue of asking the Russian government to be antagonistic, but, for the same government to live up to what it professes in its own written constitution. The Russian government does not claim to be a state in which it shall persecute and harass other religions that are not Sergianist-Ecumenist MP members; it claims to allow the free practice and ownership of property and said rights, of all religions. If the Russian Federation wishes to formally declare that the MP is the Official Church, then, let it dispense with the charade. However, with the large scale opposition of the Russian people to the MP, and with a large number of MP members themselves being atheists, such a move would probably be impossible.